Wonderful cropping of the subject. The spattering adds a delicious rhythm to the focal points and really tickles the eye. Do I detect pen rather than pencil in the drawing? It, too, adds a fresh graphic quality to the image. I look at this, being surrounded by 3 feet of VT snow on the ground, and can really think SPRING. THANK YOU! 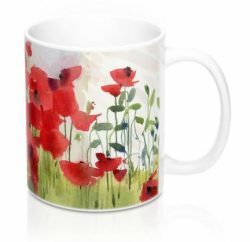 We all need a taste of spring, don’t we? Yes, that is a Micron pen that I used instead of a pencil. When I don’t have a lot of time I sometimes do that. It is a little warmer here today. Hope it is in Vermont too. could you please tell me if I can participate from here in France? 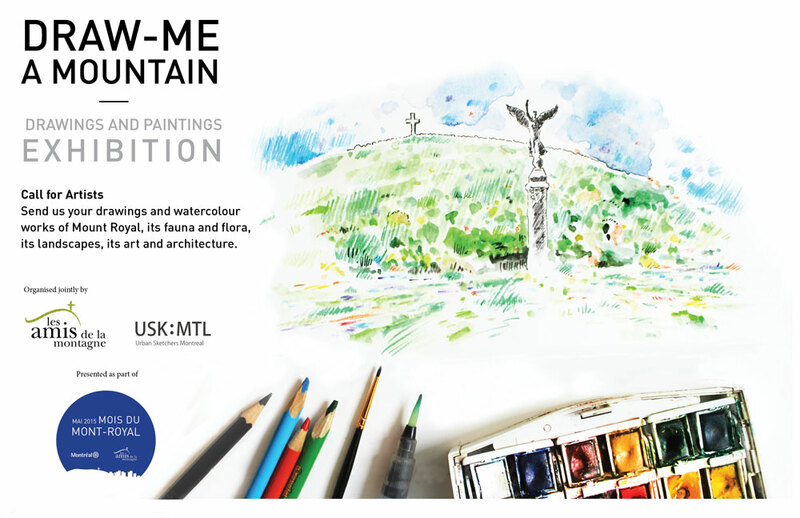 Renata, I think you can participate from France as long as you submit a sketch of Mount Royal, here in Montreal. And as long as you don’t mind shipping it here if it gets accepted to the exhibition. Please go to the links to read the image submission requirements. Beautiful composition and everithing else. 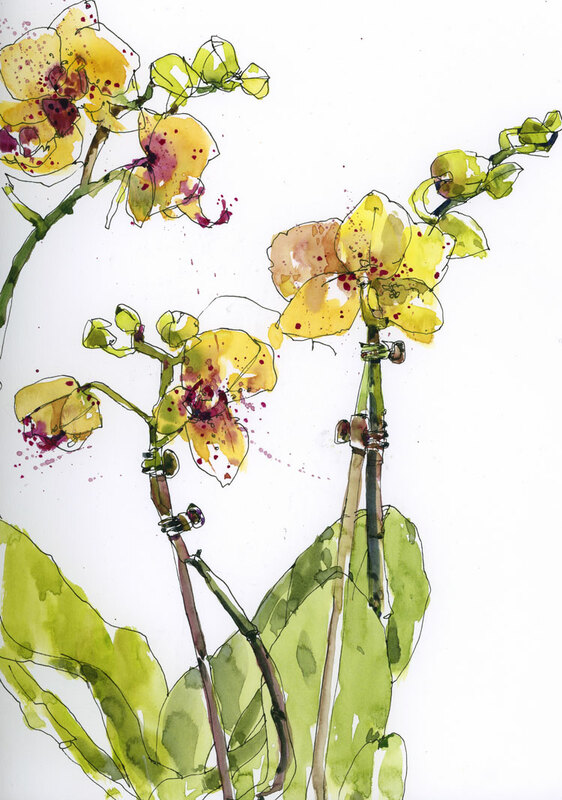 I LOVE your yellow orchids, and I hope you will paint more flowers in future! As soon as spring shows up I will certainly be painting flowers Sharilyn. Can’t wait for those warm days. Lot,s of fun events too look forward to!! Yes, hope to meet you at one of them Sharon.